Martin Shaw returns for the West End premiere of Gore Vidal's The Best Man. Get The Best Man tickets and try to answer the question, "Does the 'best man' always win the White House?" Written and produced on Broadway nearly 60 years ago, long before the battles of Trump vs Clinton and May vs Corbyn, The Best Man never achieved a West End transfer at the time because it was thought that American politics were of no real interest to London audiences. The play mirrors the often surprising results of campaigning and the all-too-often unscrupulous world of politics. Leading the cast is Martin Shaw. Best known to TV audiences for the title-roles in Judge John Deed, Inspector George Gently and The Professionals, Shaw’s leading-man West End stage roles have included Twelve Angry Men, A Man For All Seasons and The Country Girl directed by Rufus Norris. 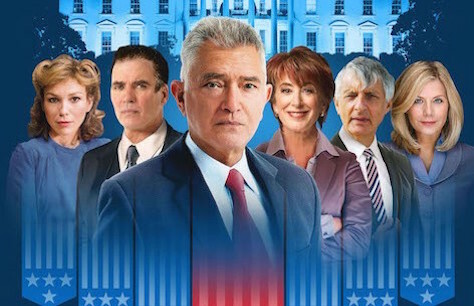 Gore Vidal's political drama makes its UK debut, get The Best Man tickets now to catch Martin Shaw as he fights for the White House. Very well performed, but a rather "heavy" story line to follow.